Is The Growing Trend Of Corporate Dentistry A Threat To Independent Canadian Dentists? There is a growing trend, which you may have noticed if you’re paying attention to dental industry news – large corporate conglomerates are buying up dentistry practices in Canada, and taking over from independent, private dentistry offices. Companies like The Dental Corporation of Canada now control quite a few offices – with this company having more than 160 offices, with more than 30 in British Columbia alone. And while some dentists are fine with this trend of corporatization, it’s setting off alarm bells among some independent dentists – who believe that corporate dentistry could lead to sub-par customer care, poor patient health outcomes, and other such issues. 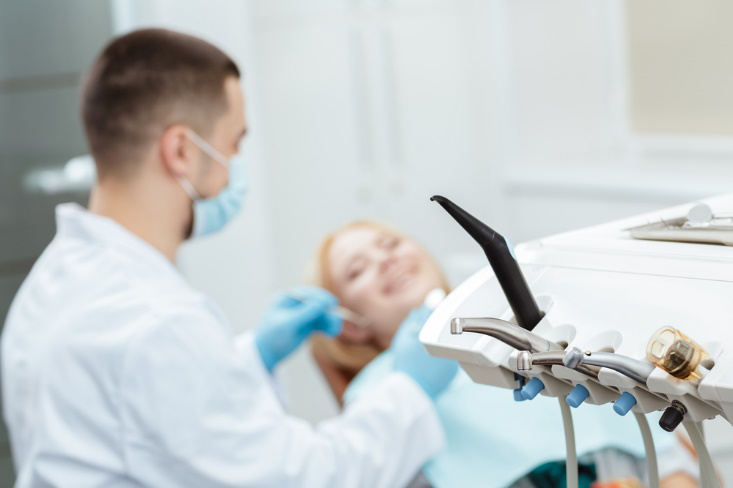 In this article, we’ll take a look at the growing trend of corporate dentistry, and discuss the threats that it may pose to the world of independent dentistry in Canada. Compared to the United States, corporate dentistry is not as widespread in Canada. In the US, solo dental clinic is shrinking by 7% per year, and Dental Support Organizations (DSOs) like Aspen Dental now employ about 7.4% of dentists – and 16.3% of dentists aged 21-34. In contrast, only about 2% of dentists currently work for a corporate practice, according to the Canadian Dental Association, but this number is growing quickly. This is because, up until recently, only qualified dentists were permitted to maintain and own dental offices. Thanks to government loopholes, though, corporations can buy these practices and employ the previous dentist, leaving ownership and operation to them – but profiting from their practice. While the dental office is still run by a dentist on paper, the truth is that it’s run by a large, corporate dental company. One of the biggest reasons that corporate dental practices are gaining steam is dentist oversupply in Canada. New dental graduates are having trouble starting their own, independent dental offices – and the promise of a guaranteed income without the responsibility of managing staffing and their own office is attractive. This is particularly true due to the high debt load of dental school graduates – they need to start making money to repay their loans, and may see corporate dentistry as a good option. So, why is it a bad thing that dental offices are being purchased by large corporations? Surely it doesn’t make much of a difference, as long as highly-qualified dental professionals are still working for these companies, right? The biggest concern among independent dentists is that, once purchased by large corporations, dental offices will no longer be as concerned with high-quality, individual patient care – and instead, these offices will focus on treating as many patients as possible to maximize profits. Maximizing profits is, after all, the goal of all large corporations – and while independent dentists are certainly concerned with profitability, we would argue that patient needs typically come first at smaller practices, where dentists can get to know each patient individually, and provide them with personalized care. Another concern is that dentists hired by corporations may try to push unnecessary procedures on their patients, in an effort to meet quotas and revenue goals given to them by the owner of their practice. The good news is that – as of now – there have been no such complaints from patients or dentists associated with these large dental corporations. However, if this trend of dental corporatization continues, it may be wise for regulators and industry watchdogs to keep an eye out – and ensure that patient health and care remains the top priority, even for large dental conglomerates. It seems unlikely that the rise in corporate dentistry will slow in the future – and if anything, it may accelerate. Independent dentists must be aware of this trend, and be aware of how it could affect the future of dentistry in Canada. It’s too early to predict its long-term effects, but individuals concerned about dental corporatization must keep a close eye on these companies and dentists, and ensure that patient care is not deprioritized in favor of higher revenue and profitability.